The party was supposed to be fun — but things quickly took a turn for the worse. 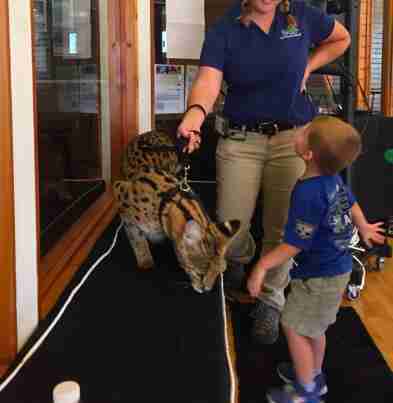 At a child’s birthday party at Indiana’s Potawatomi Zoo last weekend, guests were given the option to visit with and pet an African serval, a medium-sized wild cat. In a video from the party, a mother and her child are shown approaching the cat from behind as the toddler reaches out to pet the animal. The cat quickly lunges forward, letting out a loud hiss and biting the toddler on the head. The room erupts in shocked screams before the camera went dark. The 4-year-old cat, a male named Copper, is the zoo’s “ambassador animal” and is regularly brought to parties and other events on a leash. According to the zoo, Copper has met thousands of people without incident — but this time the cat let them know that he’d had enough. Susan Bass, PR manager for Big Cat Rescue (BCR), which rescues wild cats from neglectful zoos or private homes, told The Dodo after viewing the video that she was disheartened but not surprised that the wild cat lashed out. 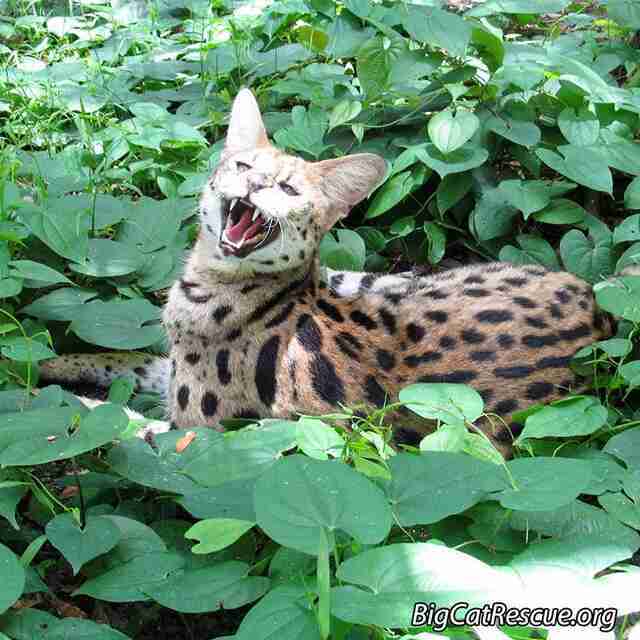 At BCR’s sanctuary in Florida, servals are often the first cats to hiss and tell people to “back off” as they walk by, Bass said. 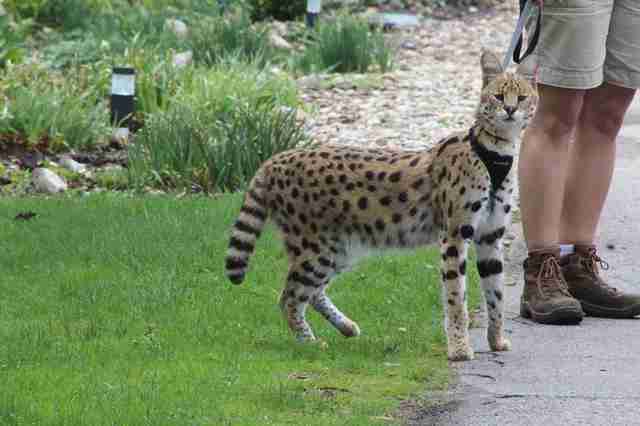 The family who hosted the party had paid extra money to have Copper there, zoo director Marcy Dean confirmed. The mother of the child who was attacked is now reportedly speaking with an attorney. While the toddler was fortunately not seriously injured, Bass fears the incident could mean the cat could face consequences such as being sold to another animal attraction — or worse. Since the incident, the zoo confirmed that Copper has been pulled from its programs for the time being. A zoo employee named Christina, who did not want to give her last name, also told The Dodo that Copper is traditionally an off-exhibit animal. It’s unclear what his living conditions are like when he’s not visiting people. 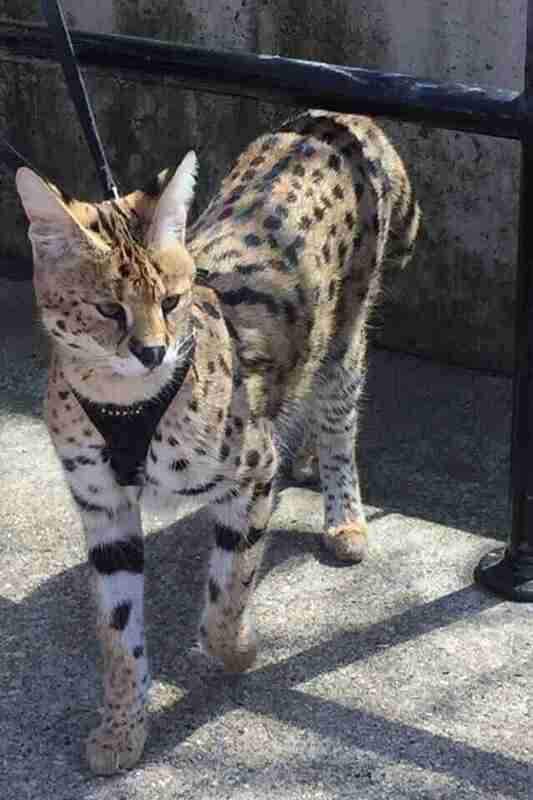 While some zoos may use animals like tortoises as “educational” visitors, Bass says it’s rather uncommon for a wild cat like a serval to be used as they tend to be shy. This temperament, coupled with constantly being exposed to noisy environments, can make human encounters incredibly stressful for the animal, and ultimately gives children the wrong message, she said. To help rescued wild cats, you can make a donation to Big Cat Rescue.